Last month’s story about organizations exposing passwords and other sensitive data via collaborative online spaces at Trello.com only scratched the surface of the problem. A deeper dive suggests a large number of government agencies, marketing firms, healthcare organizations and IT support companies are publishing credentials via public Trello boards that quickly get indexed by the major search engines. But individual users may be able to manually share personal boards that include personal or proprietary employer data, information that gets cataloged by Internet search engines and available to anyone with a Web browser. David Shear is an analyst at Flashpoint, a New York City based threat intelligence company. Shear spent several weeks last month exploring the depths of sensitive data exposed on Trello. 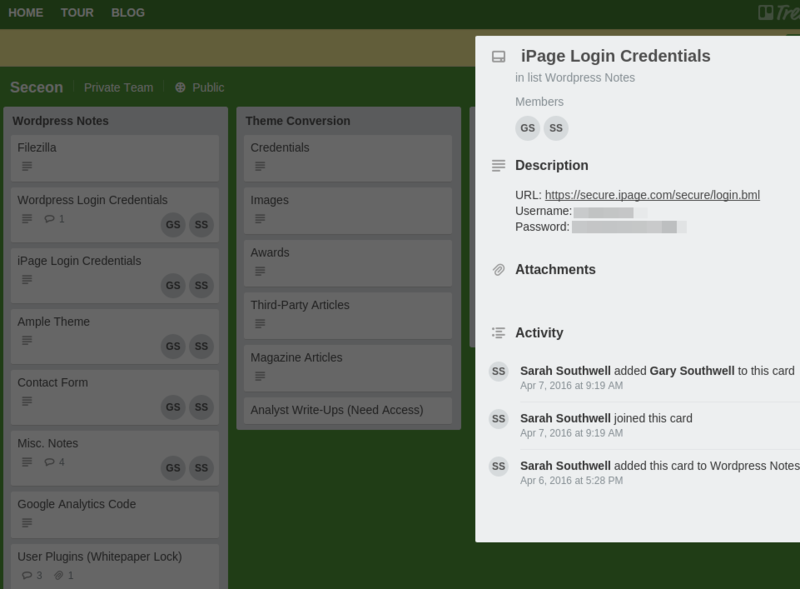 Amid his digging, Shear documented hundreds of public Trello boards that were exposing passwords and other sensitive information. 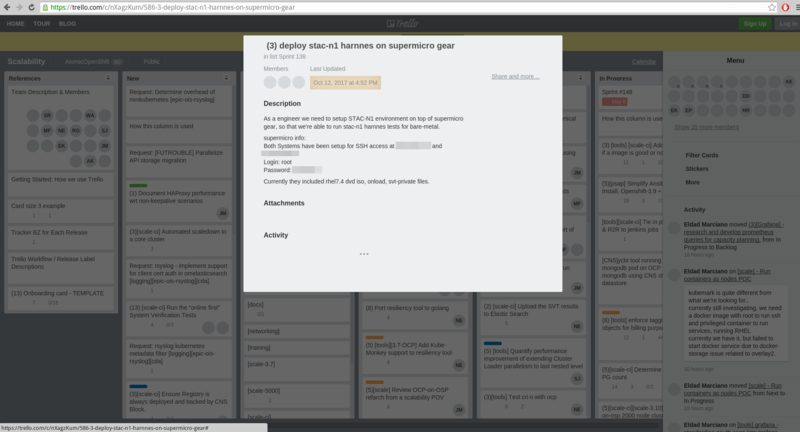 KrebsOnSecurity worked with Shear to document and report these boards to Trello. Shear said he’s amazed at the number of companies selling IT support services that are using Trello not only to store their own passwords, but even credentials to manage customer assets online. One particularly jarring misstep came from someone working for Seceon, a Westford, Mass. cybersecurity firm that touts the ability to detect and stop data breaches in real time. But until a few weeks ago the Trello page for Seceon featured multiple usernames and passwords, including credentials to log in to the company’s WordPress blog and iPage domain hosting. Credentials shared on Trello by an employee of Seceon, a cybersecurity firm. Shear also found that a senior software engineer working for Red Hat Linux in October 2017 posted administrative credentials to two different servers apparently used to test new builds. Credentials posted by a senior software engineer at Red Hat. The (now defunct) Trello page for the Maricopa County Department of Public Health. 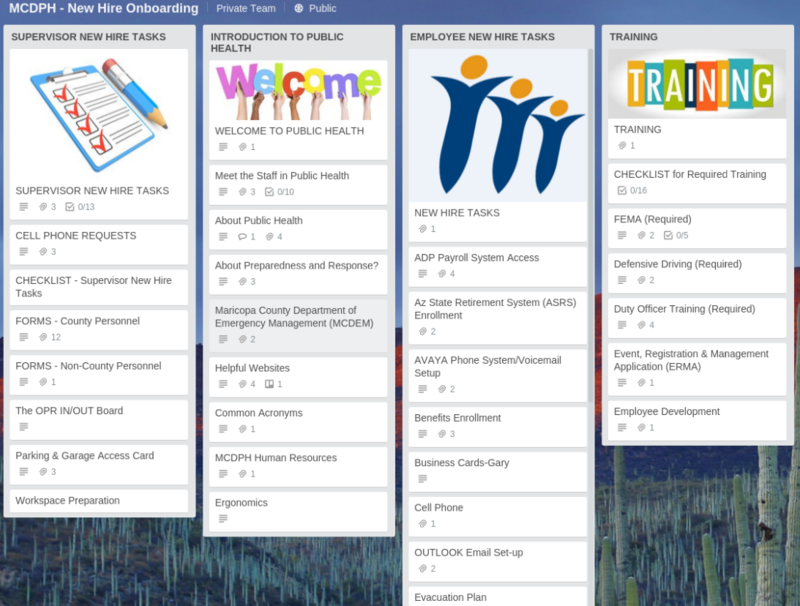 Even federal health regulators have made privacy missteps with Trello. Shear’s sleuthing uncovered a public Trello page maintained by HealthIT.gov — the official Web site of the National Coordinator for Health Information Technology, a component of the U.S. Department of Health and Human Services (HHS) — that was leaking credentials. There appear to be a great many marketers and realtors who are using public Trello boards as their personal password notepads. One of my favorites is a Trello page maintained by a “virtual assistant” who specializes in helping realtors find new clients and sales leads. Apparently, this person re-used her Trello account password somewhere else (and/or perhaps re-used it from a list of passwords available on her Trello page), and as a result someone added a “You hacked” card to the assistant’s Trello board, urging her to change the password. One realtor from Austin, Texas who posted numerous passwords to her public Trello board apparently had her Twitter profile hijacked and defaced with a photo featuring a giant Nazi flag and assorted Nazi memorabilia. It’s not clear how the hijacker obtained her password, but it appears to have been on Trello for some time.